Xiaomi launched an investigation after reports of a Xiaomi Redmi Note 4 smartphone catching fire in a man's pocket surfaced earlier this week, and on Friday, the company has released its preliminary findings, saying extreme external force was applied to the smartphone - probably causing the incident. 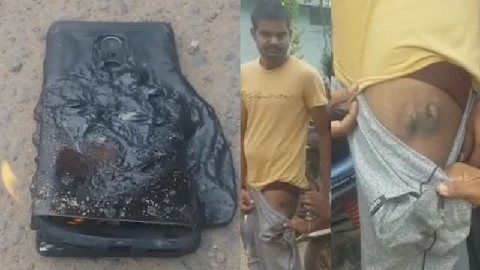 To recall, reports claimed East Godavari, Andhra Pradesh resident Bhavana Suryakiran sustained minor burn injuries on his thigh as the Redmi Note 4 he was carrying in his trouser pocket caught fire. A detailed investigation has been launched, Xiaomi said. "We would like to clarify a recent incident of a damaged Redmi Note 4 in East Godavari, Andhra Pradesh. We were able to procure the device after multiple conversations with the customer," Xiaomi said in a statement shared with IANS. "At Xiaomi, customer safety is of utmost importance and we treat such cases with absolute priority. All our devices go through stringent quality testing to ensure high standards," the company added. You can read Xiaomi's full statement below. According to the market research firm International Data Corporation (IDC), Xiaomi now has a 17.9 percent market share in the Indian smartphone space. The Redmi Note 4 has pipped Samsung's Galaxy J2 as the top shipped smartphone to India in the second quarter with a 7.97 percent market share. Xiaomi launched Redmi Note 4 earlier this year. At Xiaomi, customer safety is of utmost importance and we treat such cases with absolute priority. All our devices go through stringent quality testing to ensure high standards. We would like to clarify a recent incident of a damaged Redmi Note 4 in East Godavari, Andhra Pradesh. We were able to procure the device after a week of multiple conversations with the customer. Upon first impressions of the damaged device, we can conclude that extreme external force was applied to the device, which led to the back cover and battery being bent and screen getting damaged. A detailed investigation has been launched to understand the exact cause of the damage. We would like to request our customers to avoid opening the device, puncturing the battery or applying extreme physical force to the device. Further, do refrain from getting your smartphone repaired at unauthorised repair shops. Instead, if you find issues with your device, visit Xiaomi Authorized Service Centers (575 across 350+ cities) or reach us directly on our hotline 1800 103 6286 immediately.